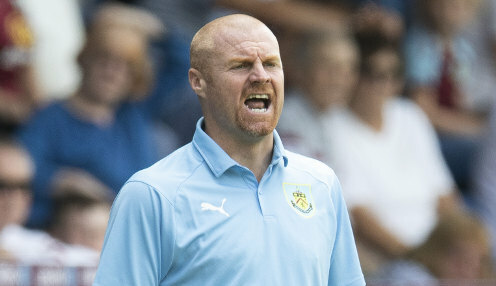 Sean Dyche believes his Burnley team will have to be at their best if they are to have any chance of beating Manchester United at Turf Moor on Sunday. After beating Leicester City 2-1, Jose Mourinho's team have suffered losses to Brighton and Tottenham, but Dyche still has a very high regard for the United boss and his players. The Clarets were knocked out of the Europa League by Olympiakos on Thursday and have also lost their last two Premier League matches - 3-1 at home to Watford and 4-2 at Fulham. Dyche said: "I think the surprise is the results side of it, not their [United's] performances. I thought they were excellent for the first 30 minutes against Tottenham. "Brighton, they've come out and said they were disappointed about that. But you quickly remind yourself when you look at their team-sheet and the players they've got and the manager they've got, that they're a top-class side, it's as simple as that. "It's a massive challenge to get a result against them or beat them." Dyche has also suggested that 18-year-old Dwight McNeil, who started the match against Olympiakos, could feature against United, 8/13 to win at Turf Moor. Burnley are available at 20/1 to win Sunday's match from behind.